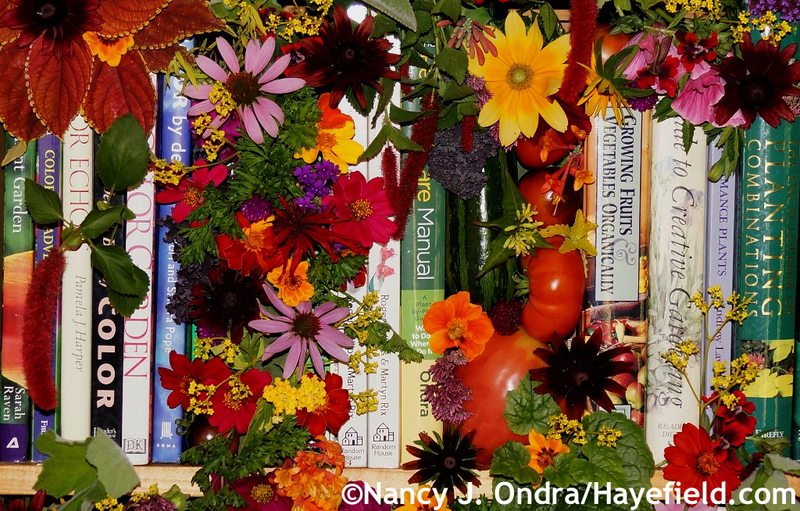 Well, my friends, I’m delighted to once again have the opportunity to thank you for being loyal readers by sharing some of the bounty of my garden with you. 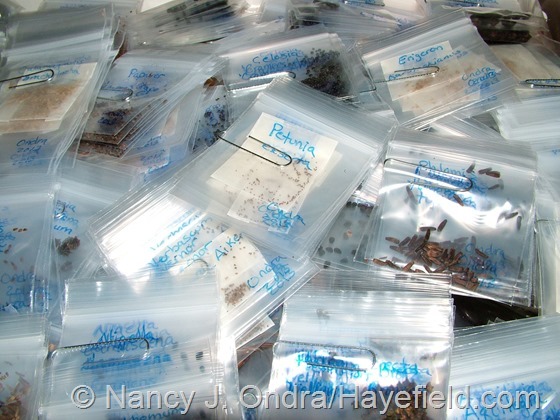 I’ve been gathering, cleaning, and packing up seeds for months now, and I have over a hundred cool things for you to choose from this year. 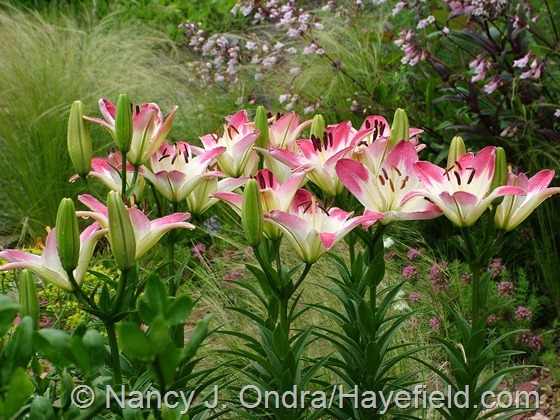 There are ornamentals and edibles; annuals, perennials, woody plants, vines, grasses, and vegetables; garden plants and meadow denizens; and exotics and U.S. natives – so, something for everyone, I think! I have more to say about how this all works, but if I were in your place, I’d want to see the list first and read all the blah, blah, blah later. So for now, have fun going through the offerings and making your wish list. (By the way, you can click on each image to see the full-sized version of the picture.) As you will see, each offering includes a brief description. This is just the basics, though, so I encourage you to use your favorite search engine to get more in-depth information about the plants you’re interested in and how best to grow them in your particular area and growing conditions. At this point, I can’t promise how many packets I’ll be able to send each of you, so I encourage you to ask for several things (up to around 10); that way, I’ll have options if I run out of some of your top choices. As you make your list, you may want to put a star next to the ones you want most, because I’ll ask you to list your requests in order of preference (those you want the most first). I think that’s all you need to know for the moment; now, enjoy! You have no idea how much time I spent trying to come up with excuses for a rather paltry offering for this month’s Bloom Day post. After all, this time of year isn’t the best for the gardens here. 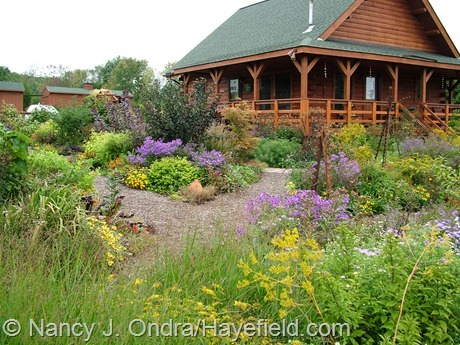 It was just a few days ago that I finished planting out the last of the annuals, and they look very silly compared to the established perennials. 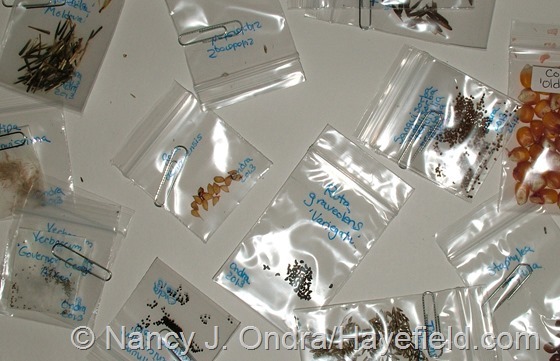 Edit: Please note that as of December 1, 2012, I have sent out all of the seeds I had available to share this year. After five years of blogging, it still surprises me that people are visiting, reading, and leaving comments on my posts. I’ll never get to talk to most of you in person, so I’d like to thank you for your time and interest in another way, by once again sharing something that means a lot to me: seeds of my favorite plants. 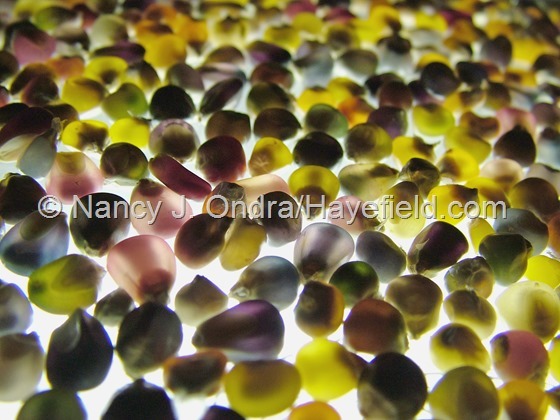 Some of these are repeats from last year; others are new this season. Take a spin through the list, see if there’s anything you find of interest, and then check out the details at the end of the post. Enjoy! 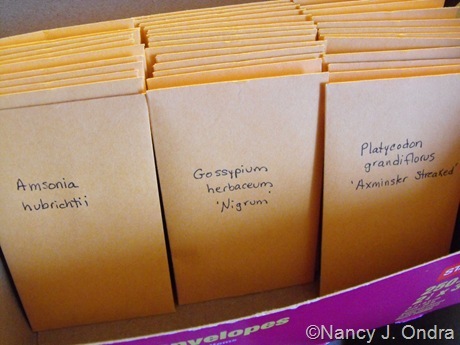 How exciting to get such an enthusiastic response to the offering of seeds in my last post! I have a little follow-up to do on that project, plus a few other miscellaneous bits of information that I thought you might find interesting or amusing.